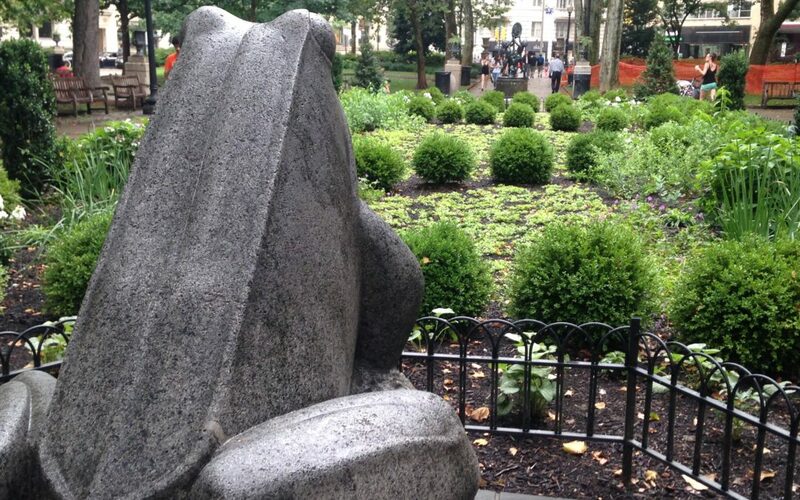 As the Rittenhouse Square formal garden reaches its first fall and season of rest, Linda and Julie took time out to reflect on the process and how the garden unfolded this year. The observations were shared recently at a meeting of the Huntingdon Valley Garden Club. 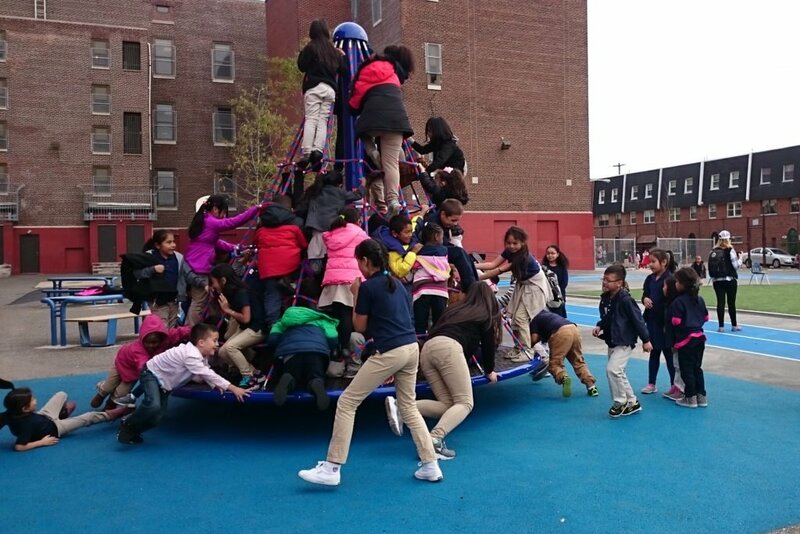 The members were intrigued and fascinated by the process and realities of this project, which was installed this past summer and is now in the maintenance phase. Since completing the design and consulting during the installation, TEND serves as the landscape managers, collaborating with the talented crew of Fine Garden Creations. Being on site so often, we had plenty of interesting experiences to impart with the group from plant survival rates to results of soil tests. We all agreed we look forward to spring, when the garden will burst back with a show of over 1500 bulbs, including daffodils, tulips, windflower, snowdrops, and allium! 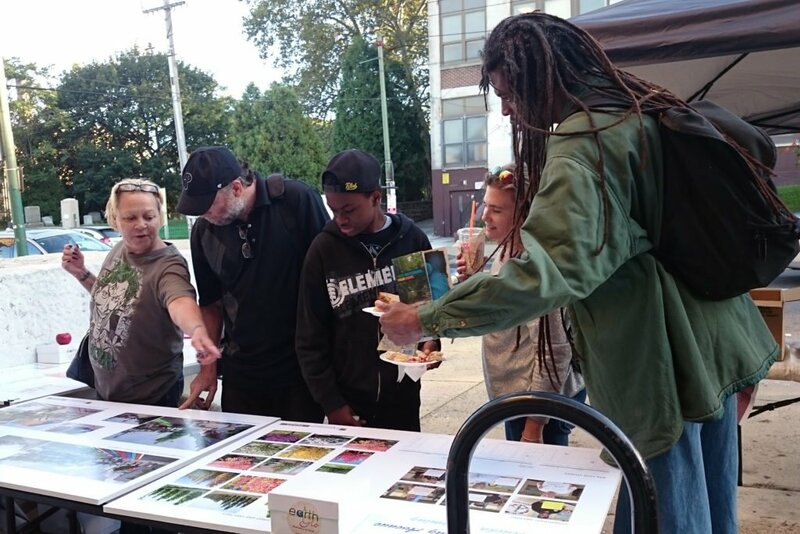 On one of the first cool days and in the fading light of fall, TEND participated in a community festival in the heart of the Feltonville neighborhood, hosted by Esperanza and the Wyoming Branch of the Free Library. 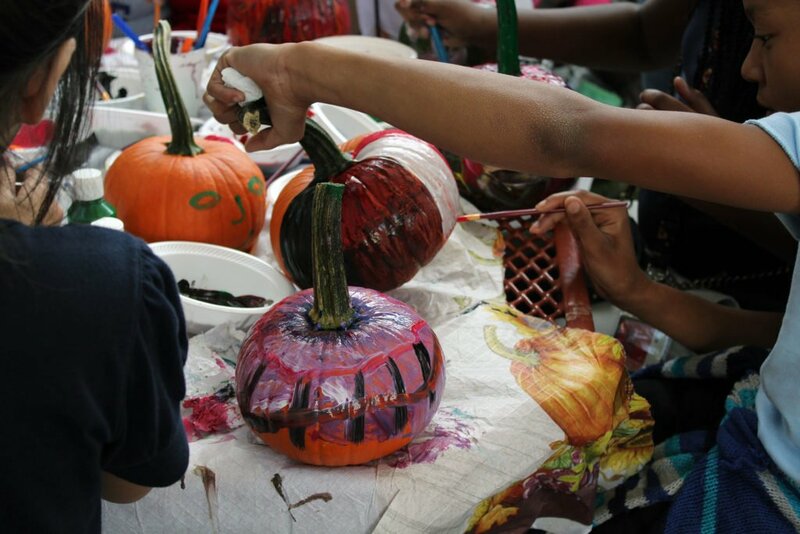 Over a hundred neighbors and students from the three area schools enjoyed delicious treats from the nearby Columbian Bakery and apples from an organic orchard, painted pumpkins, and learned about nearby recreational opportunities, such as Bird Walks and Creek Talks at Tacony Creek Park. 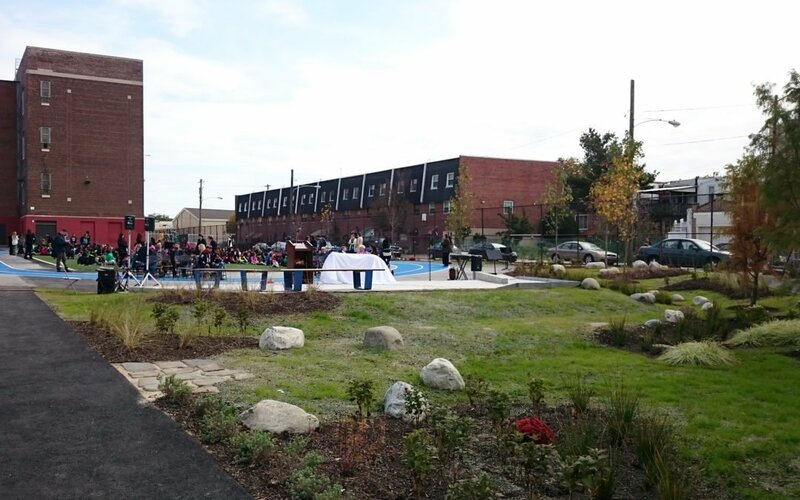 The Wyoming Avenue corridor, between Roosevelt Boulevard and Castor Avenue, is a mix of residential and commercial properties, with remnants of past industrial use, but also offers access to high-quality natural lands and recreational activities. 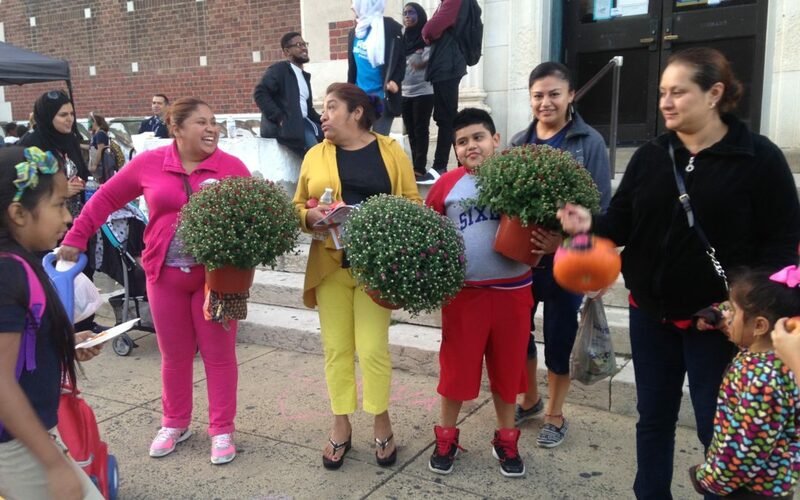 The community is an exemplary blend of cultures both old and new to Philadelphia; Latino, Middle Eastern, African American, and Polish, to name a few. Julie and Lisa took the opportunity at the festival to unveil the Master Plan for Wyoming Avenue developed by TEND’s design team, and to talk about the process and rationale behind it. The plan includes a new gateway at 5th Street to bolster a sense of place and identity, a newly envisioned Memorial Park at Rising Sun Avenue, and a gathering space at the very location of the festival—the Library and Recreation Center. 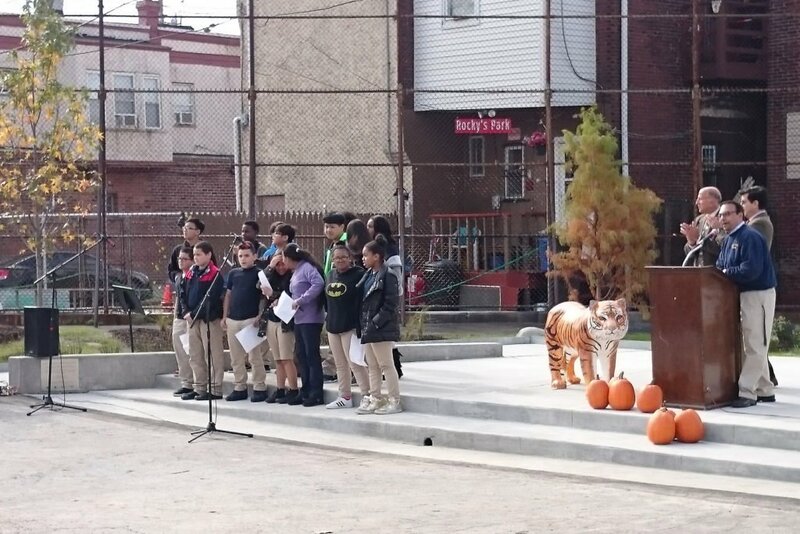 TEND led the design team which included transportation and stormwater engineers. The Master Plan has received an enthusiastic response from various city agencies and the community.